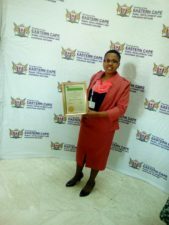 Congratulations to Xoliswa Bentshu-Mqambalala on winning the best female worker award at the Rural Development and Agrarian Reform Eastern Cape Female Entrepreneur Awards 2017 held on the 30th June 2017. The initiative is aimed to encourage women in farming for years. 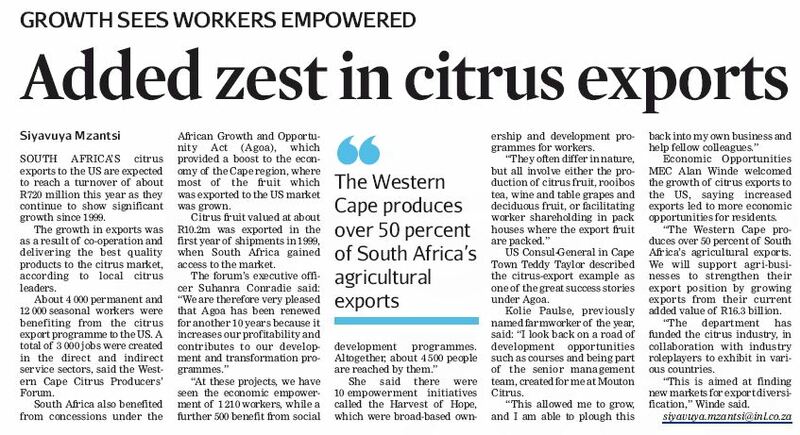 There were 24 nominees in the six different categories and this category was intended to acknowledge the fact that women do basic work in agriculture, forestry and fisheries. The nature of their job is physically demanding and subjects them to extreme conditions at times and offers very limited exposure to development opportunities. This category is open to a very committed employee who has a great positive impact and contribution in the organisation. The winners will enter in the Provincial level and the awards will take place in East London from the 09-11 August 2017. Thanks Xoliswa for the hard work and commitment we are so proud of you this is a great achievement well done.